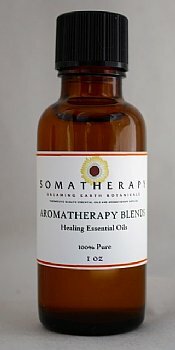 In traditional herbalism, the oils of this blend were used to ease muscle pain and promote the elimination of toxins. This blend has been designed to ease muscle soreness and tension. Add to any carrier oil or lotion base (2 drops per teaspoon) and apply to achy muscles, or add 3 drops to a tablespoon of oil and add to a warm bath. Wonderful after a strenuous workout! Contains a blend of pure Essential Oils of Roman Chamomile, Cajeput, Ginger, Juniper, Lavender Provence, Marjoram, and Rosemary. Also available in a ready to use massage blend.